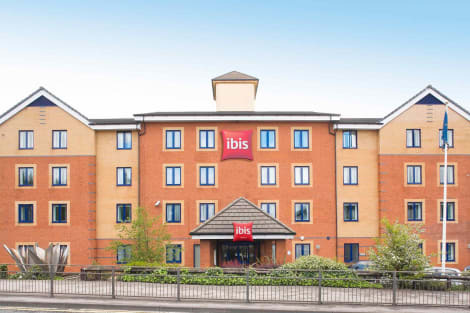 Budging 'budget' up a few notches, ibis Chesterfield Centre has been carefully created to deliver everything you need, and nothing you don't. With a constant focus on cleanliness, friendliness and 'nothing's too much trouble'iness, our great location and attention to all those critical details means you can enjoy the best of Chesterfield without breaking the bank. Stay in one of 74 guestrooms featuring plasma televisions. Complimentary wireless Internet access keeps you connected, and digital programming is available for your entertainment. Private bathrooms with shower/tub combinations feature complimentary toiletries and hair dryers. Conveniences include desks and coffee/tea makers, and housekeeping is provided daily. Grab a bite to eat at Cocina, a restaurant which features a bar, or stay in and take advantage of the 24-hour room service. Full breakfasts are available for a fee. 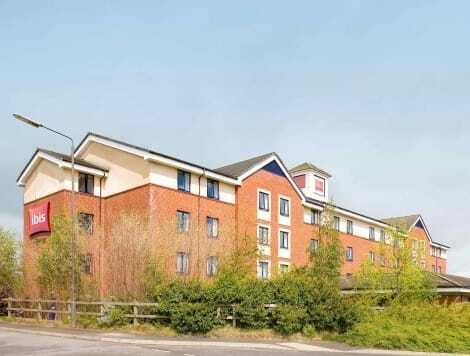 This charming hotel boasts many period features and is situated at the gateway to the Peak District National Park in Chesterfield. Chatsworth House is just a short drive away, and Chesterfield offers a variety shops, restaurants and attractions including The Crooked Spire at the Church of St Mary and All Saints, Hardwick Hall and Revolution House. The homely guest rooms are comfortable and cosy with en suite bathrooms, coffee and tea facilities, Wi-Fi, and colour televisions with tele-text. Guests can wake up to an award-winning breakfast in the onsite restaurant, which serves meals prepared to guests' personal requirements rather than from a menu. 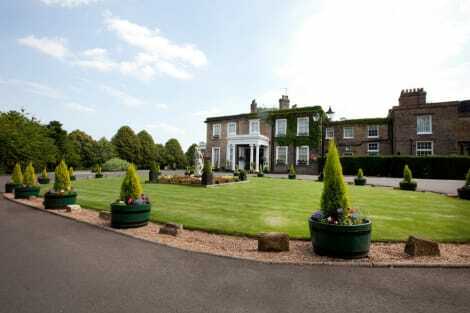 This hotel's central location and great service make it the perfect base for a wonderful, relaxing holiday in Derbyshire. Chesterfield is a quaint market town in Derbyshire which dates back to Roman times. The town received its market charter in 1204 from King John. More than 800 years on, the market is still one of the largest in the country, with around 250 stalls every Monday, Friday and Saturday. In the surrounding medieval streets, known as The Shambles, you'll find more independent traders. Book one of our Chesterfield hotels and explore beautiful parkland, a lopsided church and a house where an uprising was plotted. Chesterfield is famous for the crooked spire of its Grade I listed 14th-century Church of St Mary and All Saints. The spire both twists 45 degrees and leans nine-and-a-half feet from its centre. The twisting is believed to have been caused at least in part by the heavy lead covering expanding in the heat, though local legends with their own explanation abound. Chesterfield Football Club are named ‘The Spireites' in its honour and feature the spire on their crest. The spire is open to the public most days, except Sundays and Good Friday, and you can climb part of the way up for an excellent view of the town. Chesterfield Museum and Art Gallery explores the town's history, and is housed in the Stephenson Memorial Hall, named after George Stephenson, who built the world's first public inter-city steam railway. He lived in the town and is buried at The Holy Trinity Church. There is a painting of the Stephenson family on display in the museum, as well as a clock which he owned. Other exhibits include a 20-foot-high medieval builders' wheel used to construct the church, and a model traction engine. Entry is free and the museum is open from 10:00 to 16:00 on Mondays, Thursdays, Fridays and Saturdays. Also well worth a visit is Revolution House, a thatched stone college in Old Whittington, a short drive out of the town. Here three local noblemen met to plot their part in the Glorious Revolution of 1688, when James II was overthrown in favour of William of Orange and Mary II. The cottage has a display of 17th-century furniture and a video about the revolution. Entry is free and the house is open from April to September on Saturdays and Sundays from 11:00 to 16:00. The Lombardi family, from Maddaloni, near Naples, have owned Lombardi's Italian restaurant since 2002 and pride themselves on their authentic, traditional dishes. All the staff speak Italian, and ingredients are imported from Italy each week. Beer drinkers can accompany their meal with an artisan Italian beer or a Derbyshire real ale. For an inventive twist on classic British food, head to the Old Post, thought to be the third oldest building in the town after the church and the Royal Oak. Part of it dates from the 15th century, and original features like the beams and fireplace remain. Make sure you have a drink in the Royal Oak too – parts of the building reputedly date back to the 12th century and was rumoured to have been an inn for the Knights Templar.